Jambeaux! Harambe! Welcome to this special edition of the Magic Our Way podcast. It’s a Best of MOW show! 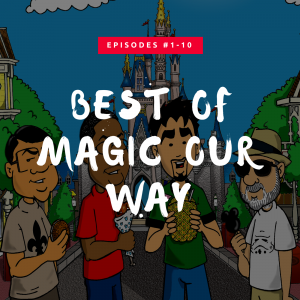 Magic Our Way is a New Orleans based Disney fan podcast. We appreciate your listening to our show and taking the time to allow us to discuss our thoughts. Your feedback is welcomed and we are committed to to our audience. Any and all opinions are welcome on the Magic Our Way podcast. 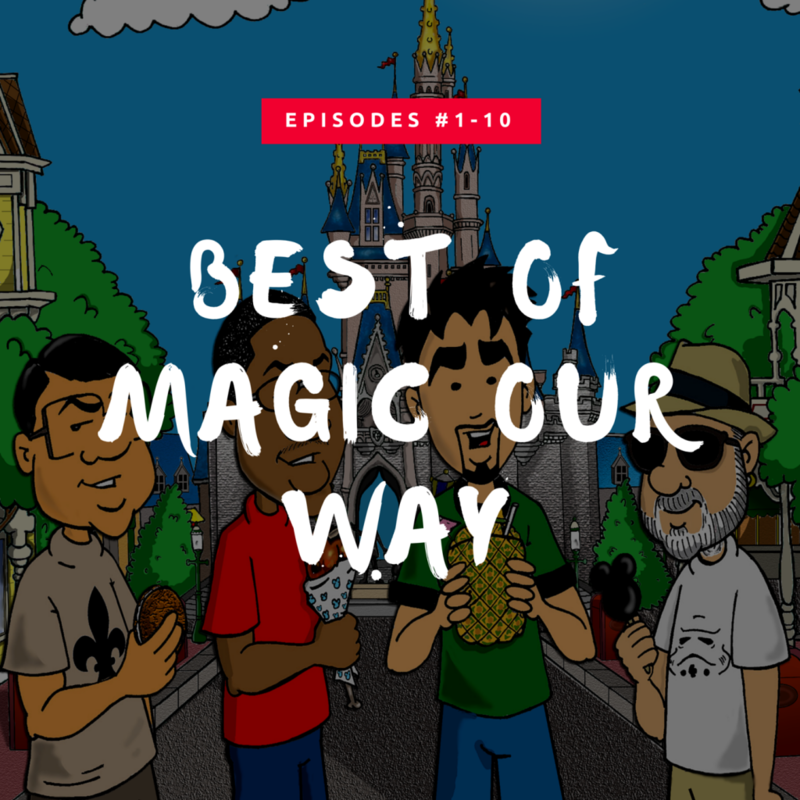 This is the very first episode of the Best of Magic Our Way series of show – Episodes #001-010. On today’s show, we have Kevin, Danny, Eli of www.ivorycomics.com, Mike, Aaron Aimee, and Mark. 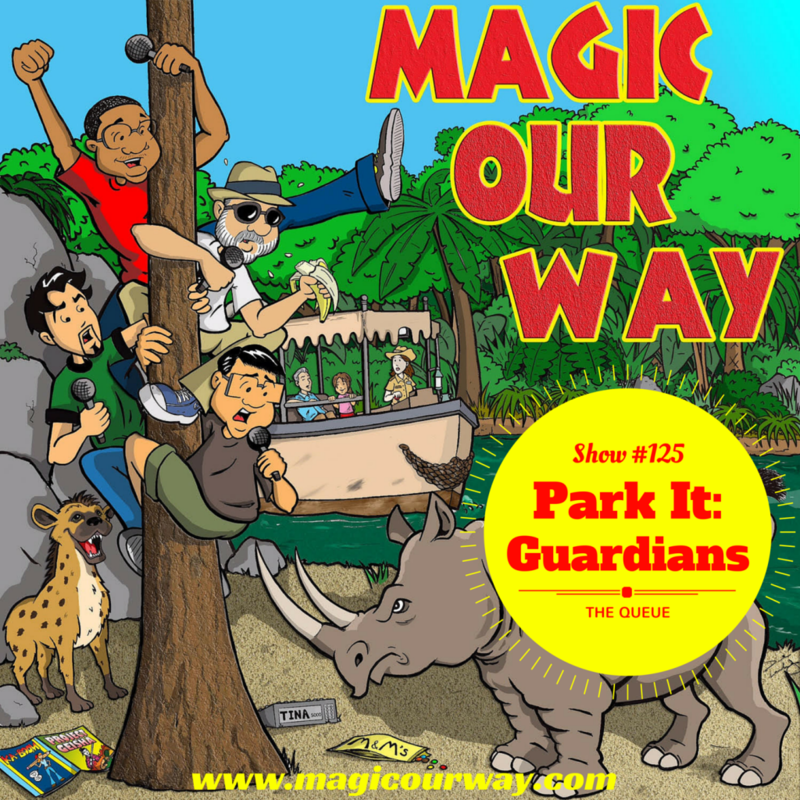 The Magic Our Way Podcast is not affiliated with the Walt Disney Company or its entities. All opinions expressed therein are solely those of the Magic Our Way podcast. No animals were harmed in the making of this podcast. This is our first Best of Magic Our Way episode. This particular show will present the more jovial moments from episodes #001-010 which is currently unavailable on iTunes due to their restrictions on the max number of shows it presents to its customers. If any of these clips makes you want to know more from that episode it came from, we will have them posted up on our website once we have released the redesign. Any and all opinions are welcome on the Magic Our Way Podcast. Share them at show@magicourway.com. Jambeaux, everyone!!! Harambe! Elsa’s Girlfriend and Captain America’s Boyfriend? Welcome to another episode of the Magic Our Way podcast. We are a New Orleans based Disney fan podcast. We appreciate your listening to our show and we hope it brings a smile to your face. We also appreciate your feedback and are committed to listening to our audience. On today’s show, we have Danny, Lee-an agent of www.magicalmomentsvacations.com, and Eli of www.ivorycomics.com. Kevin is once again away on assignment. Welcome to the HUB and for this episode, the boys tackle two news stories that have been floating around the internet for a while which talks about Elsa’s Girlfriend (Frozen) and Captain American’s Boyfriend (Marvel Cinematic Universe). PLEASE NOTE: This episode was recorded several weeks ago. But, due to several events that had happened in the Orlando area surrounding our release date for this episode, we decided that it would be best to delay it. Our release now coincides with J.J. Abrams’ recent announcement that future Star Wars movies could possibly contain homosexual characters. Jambeaux, everyone!!! Harambe! It’s a Queue show featuring Park It: Guardians of the Galaxy! Welcome to another episode of the Magic Our Way podcast. We are a New Orleans based Disney fan podcast. We appreciate your listening to our show and we hope it brings a smile to your face. We also appreciate your feedback and are committed to listening to our audience. On today’s show, we have Danny, Kevin, Lee-an agent of www.magicalmomentsvacations.com, and Eli of www.ivorycomics.com. Kevin is once again away on assignment. Welcome to the QUEUE and for this episode, the boys tackle the latest in Disney related news stories that we are interested in discussing. We discuss the following news stories on this episode. RUMOR: Pixar’s Coco in Mexican Pavillion?!?!?!?! Based on the last news topic, we decided to exercise our creative muscle and feature a Park It segment showing how we would put Guardians of the Galaxy into the parks. The only rules that we followed are 1) it had to be a practical and 2) each one of us was assigned an attraction type. The only rules that we followed are 1) it had to be a practical and 2) we assigned each one of us an attraction type. The redo has to be practical. We make Guardians of the Galaxy work in such a way that it could be considered as an option by the Walt Disney Company. This means no building new parks or tearing down massive amounts of infrastructure and buildings because that would be downright expensive. Our assigned attraction types are listed below. Jambeaux, everyone!!! Harambe! It’s Guest Services show! Welcome to another episode of the Magic Our Way podcast. We are a New Orleans based Disney fan podcast. We appreciate your listening to our show and we hope it brings a smile to your face. We also appreciate your feedback and are committed to listening to our audience. On today’s show, we have Danny, Kevin, Lee-an agent of www.magicalmomentsvacations.com, and Eli of www.ivorycomics.com. This episode is Guest Services for June 2016. This is the segment in which we address all of the questions sent in by our listeners via email, text, or voicemail. In Guest Services. we recognize the following listeners and topics. Facebook changes: MOW Facebook Discussion Group? What did you think about our responses? Any comments? Share them at show@magicourway.com. Leave a VOICEMAIL or send us a TEXT at 1-815-MOWICAN (669-4226). Give us a listen, ya’ heard! Click the link to listen now.